In addition to our cybersecurity workshop sessions on Monday, ARC will have cybersecurity-related sessions throughout the Forum program that will examine several different issues related to industrial/OT cybersecurity. Our Tuesday afternoon session at 4 PM features discussions from key end users with boots on the ground in industrial cybersecurity, as well as leading cybersecurity suppliers that are implementing solutions and providing threat hunting services. This session is part of a series of case study sessions where industry, infrastructure, and smart city end users make presentations regarding their cybersecurity programs and initiatives. Attendees of this session will gain insight into what organizations are/are not doing and how their own efforts compare with industry peers. This information will be of benefit to owner-operators, suppliers, and researchers involved with industry, infrastructure, or smart cities cybersecurity. Our end user presenters for this session include Jason Nations, senior manager of enterprise security for OGE Energy Corp., the parent company of OG&E, an investor-owned utility headquartered in Oklahoma City, Oklahoma. 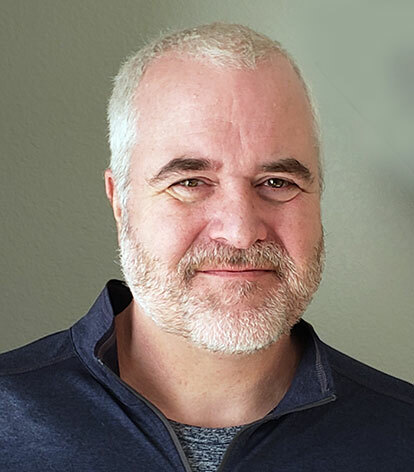 Jason oversees all cybersecurity efforts including both OT and IT and has extensive experience across multiple industries including energy, government, and healthcare. William Perez is director of IT security at Connecticut Water Corp. William has been in the IT field for 12 years specializing in network security, specifically for WAN, LAN, and firewall devices. At Connecticut Water, he currently leads the vision and strategy of information security and oversees technical services in information security and network infrastructure. Michael Siegel is a principal research scientist for the Sloan School of Management at MIT. In addition to his role as Principal Research Scientist, Michael is also the Co-Director of Cybersecurity at MIT Sloan. His research focuses on the management, strategy, technology, and organizational issues related to cybersecurity with specific interest in vulnerability markets, cyber risk metrics, dark web business models, IoT endpoint security, cybersecurity workforce development, and educating management in cybersecurity. Panelists for this session include Lesley Carhart, a principal threat hunter at Dragos. Lesley is recognized as a subject matter expert in cybersecurity incident response, regularly speaking on the topic at industry conferences and universities, as well as to news media. She has spent the last 9 years of her 19-year IT career specializing in information security, with a heavy focus on response to nation-state adversaries. Benjamin Burke is director of operations at cyberdefense firm Dispel, overseeing business development, sales, system operations, and contract fulfillment. Prior to moving into Operations, he worked as an engineer to build Dispel‘s platform, focusing primarily on private networking, system integration, and UI/UX. Additionally, he serves as an editor and video/audio engineer for the Cyber Security Dispatch.